That might seem the first, most obvious question we would have to know how to answer if we were going to hit the streets to tell people the gospel truth. But Romans 1 tells us otherwise. There we read that on some level everyone knows God exists – God has made Himself known through his creation. So, then, spending our time trying to argue for God’s existence simply isn’t fruitful. We are flattering the sinner, treating his ridiculous claim as if it was serious. As the apologist in this film, Sye Ten Bruggencate explains, if someone were to come up to us and say they didn’t believe in words, would we believe him? No, we would treat his foolish claims as just that. So while some Christians do try to give reasons to believe in God and believe in the Bible, in How to Answer the Fool, Sye Ten Bruggencate wants to teach us how to skip right past that and instead talk to the unbeliever about how it is only by acknowledging God, and the Bible as his Word, that the world makes any sense. This is a “presuppositional” approach to defending our Christian faith – an approach that starts with the Bible. It is the way Pastor Douglas Wilson also does apologetics, as demonstrated in the documentary Collision, but whereas Wilson focuses on morality – demonstrating that an atheist has no basis on which to complain about anything being wrong – Bruggencate focuses on the issue of reason here. He shows some rather bright atheistic university students that they have can’t justify their belief in reason. He makes his case so well that the students give up on reason, and start to argue that they actually know nothing. Sye attempts to guide the student into realizing how very foolish – how downright comical! – it is for a person paying thousands of dollars a year to learn to deny that they have ever, or could ever learn anything. He encourages them, to instead acknowledge the God who makes reason possible. The mix of on the street exchanges, examples of famous evangelists doing evangelism wrong, and one on one clips/interviews with the “star” of this film, Sye Ten Bruggencate make this both entertaining and incredibly challenging. 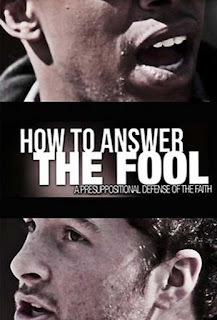 The only caution I would give for it is that while some approaches to evangelism flatter the sinner by treating his foolish claims as legitimate, presuppositional apologetics runs the risk of “flattening the sinner.” Sye shows how we can demolish foolish arguments, and we are indeed called to demolish these foolish arguments. But we must do so in love, and loving demolition is a tricky task, and one that must be taken on with care. 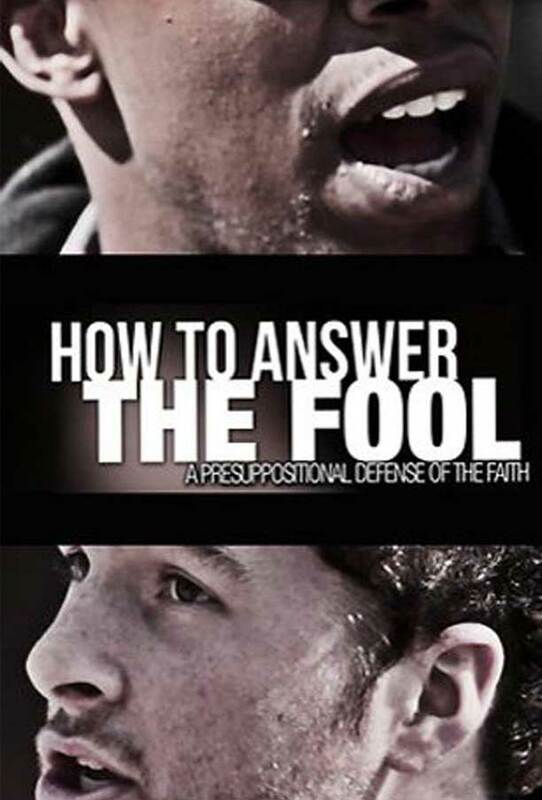 I would recommend this film as the best instructional film on presuppositional apologetics, and Douglas Wilson's Collision as the better example of doing it winsomely. It is a must-see film – one that should be used in all our schools, and one that should be seen by every member of our churches, though preferably in a setting where the film can be discussed, and the very real risk of “flattening the sinner” considered.